Today, 95% of businesses are using the cloud, according to the RightScale 2017 State of the Cloud Report. However large the adoption rate, they are still concerned about their own lack of cloud expertise. To help IT leaders with the process of deciding which workloads they should keep on premises and those to move to a hosted private cloud, look no further. Presented in this paper are the results from a private cloud survey based on in-depth interviews with IT directors and managers at medium and large enterprises. 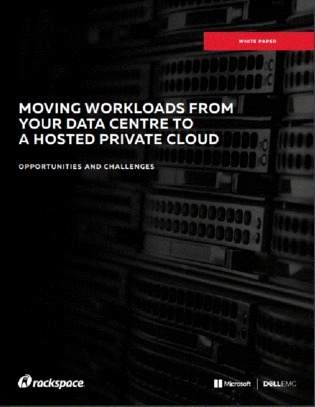 You’ll examine why certain workloads tend to reside in a data center vs. a hosted private cloud, with the respective challenges of each outlined. Access now to consider why companies are deploying more workloads in a hosted private cloud, including faster access to IT infrastructure, improved scalability, and more.